Deep learning is state of the art machine learning algorithm in learning image, video, sound and natural language. 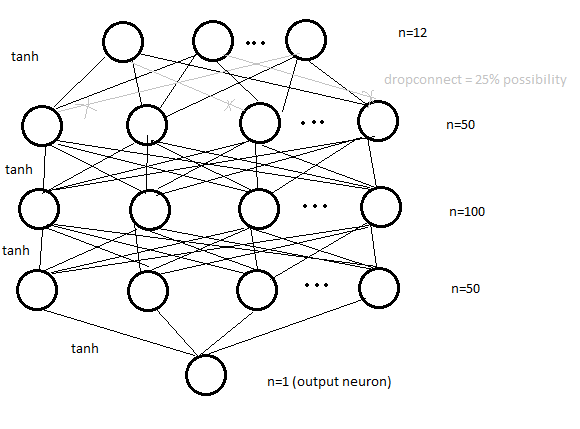 Torch7 is one of the famous deep learning framework, which is already used within Facebook, Google, Twitter, NYU, IDIAP, Purdue and several other companies and research labs. The score is the percentage of passengers we correctly predict. The submission result using model on epoch 20000 is 0.74641. From the result, we know that our model is slightly overfitted because training set accuracy is 89.113% while test set is 74.646%. 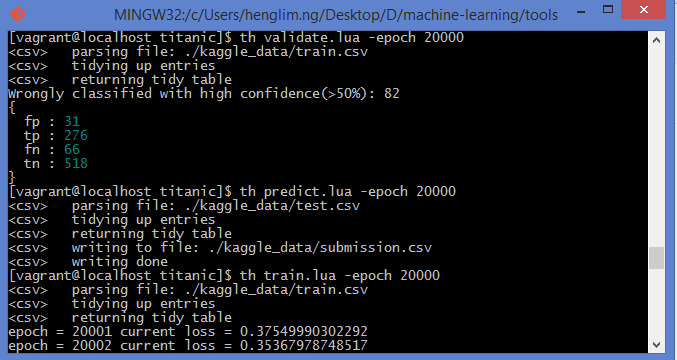 I have showed that torch7 works in Kaggle titanic challenge too. With this method, I can easily get the probability that a passenger is survived based on the input, and this Bayesian behavior is really important in real world use case.